My learning from the 90th TCRWP Saturday Reunion continues . . .
Tara Smith’s blog post on #dothework is here. Sally Donnelly’s notes on this session are here. Scroll down to “Kate”. The book will be available in APRIL and I am anxiously awaiting its arrival! So I’m deviating from the norm here as I’m not going to recapture all the information from the session (see the links above). Instead I want you to think about what I heard as the spirit and the intent behind this session, at the TCRWP’s 90th Saturday Reunion. There is an art to being a good teacher and teaching well. Now more than ever, all students need good teachers. How do we do that? How do we teach the content and meet the individual needs of our students that seem to be a never ending task every year. You have to “Do The Work.” But you don’t have to do it alone! The tools in Kate and Maggie’s book will help us. How? For students, the tools put the work in their hands. They provide prompts so students can and do “Do the work”. But more importantly, for teachers these tools will also serve as “mentor tools” so that we can create the “just right” tools that our students need. Will there be a tool for every student? Every situation? Only if the book is 1,000+ pages long and has perpetual updating. But what this book will do is provide a framework and enough models that you will be comfortable with adapting and / or one day creating your own tools! Kate even suggested that groups of teachers should get together to create tools! This was the second time that I watched Kate create a tool in less than 5 minutes for a topic drawn from the audience. Let me repeat. . . a topic from the audience . . . create a tool based on a request from the audience . . .The sheer recollection of that tool-making takes my breath away. Kate’s ability to have a conversation with a packed room of teachers and administrators and simultaneously create a tool – a demonstration notebook page – is awe-inspiring. Here’s what that page looked like as it was developed. How would a page like this help you, the teacher? How would a page like this help your students? The goal of this post was not to simply recount the workshop content. I gave the reader two links for additional information and the book that will be released in April. I really wanted to focus on the “WHY”! And then share just how quickly Kate created the demonstration notebook page. In order to meet those goals, I reread my notes, Tara’s post, Sally’s post and crossed off the “how – to” details for everything but those 4-5 minutes of creation. Truth: Today it took me longer to locate the pictures that I wanted to use than it did to write the blog post. Thank you, Anna, Betsy, Beth, Dana, Deb, Kathleen, Stacey, and Tara. Check out the writers, readers and teachers here. 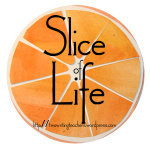 It’s the March Slice of Life Challenge posts are DAILY! Nice addition to the slices that you shared, Fran. I think I’d be writing something similar if I were sharing one of our HVWP continuity events. For me, it’s about the fabric, the reason I’m there… what I walk away with… What a full documentation. Of course I’d be trying for some video as well. This book. These two ladies – Maggie and Kate. Your clever, careful interpretation, Fran. Well, it’s all genius. I agree with Anna! Thank you for sharing Fran. Perfect. Makes me want to try with teacher colleagues. So in that way this post adds agency! Everything is easier when you have the right tools be they someone else’s tools or ones we make up to fit our needs. Education is a changing field and the tools need to fit what is happening at the time. YES – it doesn’t matter if we borrow someone else’s tools to get started! The KEY is getting started! On my to-do list is to create some pages this summer. I promise to share when I do. And before I start, I will reread this post to remember the WHY and the 4 minutes. Funny – I also wrote about watching Kate years ago write her big idea elaboration as the audience fired off prompts. Watching that is SO powerful and made me feel I could do it if Kate did it!! We should set a time to meet online and share. Encourage each other! I am going to be copying a lot to get started! I’, glad that you wrote about Kate’s in the moment creativity – she is a marvel, that Kate! Such a marvel that she makes it look too easy! BUT even if my first takes 30 min., eventually I will get better, faster, stronger . . . I think I can! I believe that imitation is the sincerest form of flattery. Lots of studying to do! You have given me an idea of how to help a colleague whose writing workshop has hit a snag. Thank you for sharing, Fran!